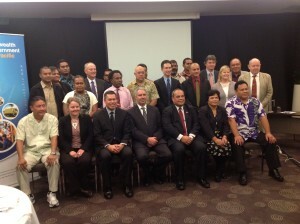 In July 2013 – during the ARIAL final seminar on Sharing Good Practices held in Auckland – a general meeting of Pacific delegates formally established the Pacific Islands Local Government Association Network (PiLGAN), a representative structure whose main purpose is to provide National Local Government Associations with a forum where members can come together to support each other through exchange of experiences and ideas and at the same time provide a stronger voice for local government in the Pacific. The Pacific Islands Local Government Association Network was officially launched by the Chairperson of the CLGF Board and President of the Local Government of New Zealand (LGNZ), Mayor Lawrence Yale. Among invited guest was Rev. Uesifili Unasi who is the current Chair of the Auckland Councils Pacific People’s Advisory Panel, Mr. Sua William, MP for Magere and the Deputy Secretary of CLGF, Lucy Slack. There were also representatives from the LGNZ (Local Government of New Zealand) from Wellington, the Hunter Group of Councils from Newcastle in Australia, FSPI and VNG International officials. The ARIAL Progra mme’s support for LGAs in the Pacific has been extended for another five months to December, 2013. This will result in the payment of KiLGA staff and provision of Technical Assistants to assist KiLGA’s operations for the extended period. 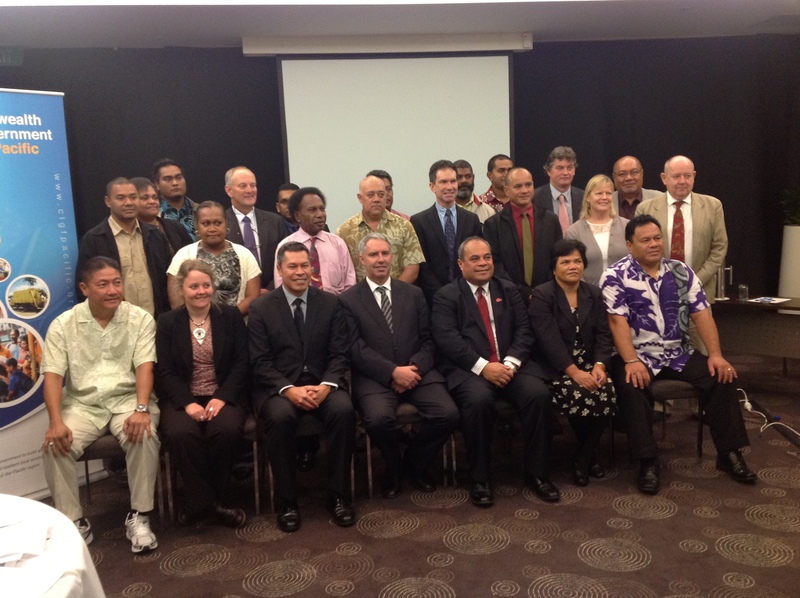 Pacific Local Government officials and representatives gathered at Novotel Ellerslie, Auckland, at the final regional seminar on “Sharing Good Practices” which was organized by the Foundation of the Peoples of the South Pacific International (FSPI) on behalf of its consortium partners, ARIAL from 2nd – 3rd of July,2013. The seminar was officially opened by Anne Lies, a representative of the International Cooperation Agency of the Association of Dutch Municipalities (VNG International). 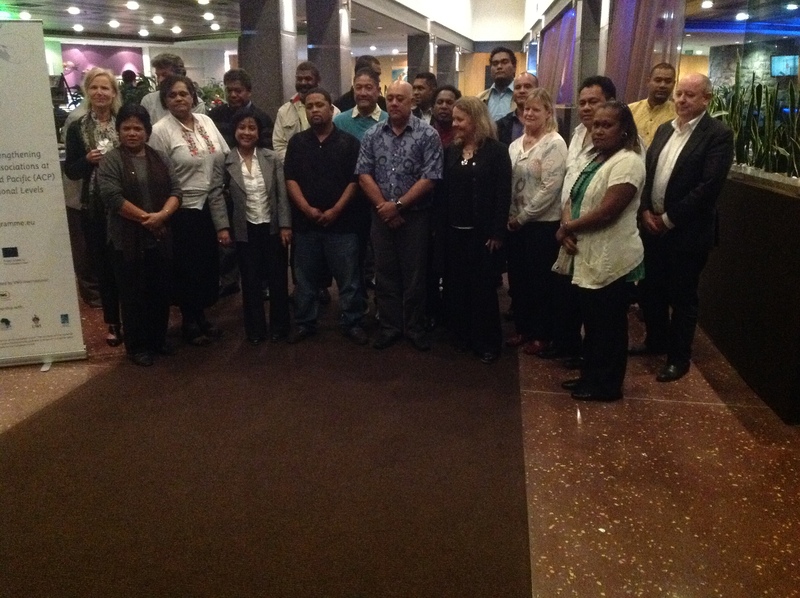 On 2 – 4 September 2013, a visit was made to KiLGA by an expert on Local government finance, Mr Alfonso Garcia. The assessment was commissioned by VNG – International on behalf of the EU-funded ARIAL programme. The main objective of the visit was to find ways to make KiLGA sustainable after the ARIAL program finally comes to the end in December 2013. 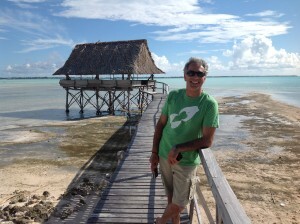 CLGF will be hosting a Strategic Planning and Local Economic Development workshop in Nadi from 14 – 18 October. The workshop is part of CLGF strategy to engage more with members of PiLGAN to work out how we can assist each other to support local government in the Pacific. The main purpose of the workshop is to discuss the role of Local Government Associations. The KiLGA’s Executive Board had a meeting with the Vice President and Minister for Local Government, Hon. Teima Onorio, on Monday 6 May at her office in Bairiki. The Board discussed various Local Government issues including the Induction Programme for Councillors and Mayors, the Local Govrnment Review report by Steven Tweedie, correction of the Mayors’ DSA while on government business, among others. The Board also updated the Vice President with its latest decisions on issues such as the Pacific Local Government Network, of which KiLGA is a founding member; its partnerships with NGOs such as KFHA, KiriCAN, Live & Learn, and private companies such as LMTA. In response the Vice President informed the Board that the Induction programme is ongoing, that the National Sports Tournament is being prepared, there are improvements to the management of Elderly Funds and that government is working on a proposal to increase government grant to Councils in relation to population increases. 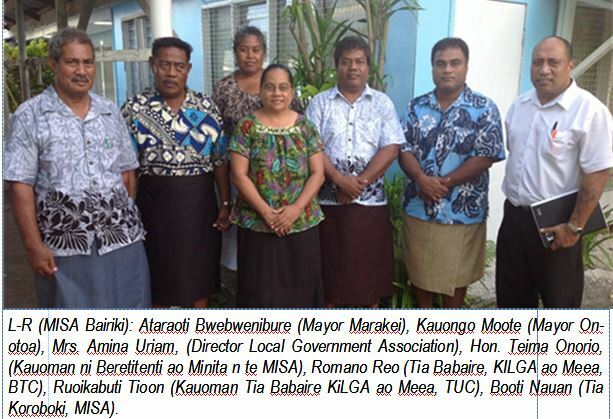 The Executive Officer of KiLGA was invited to a workshop organised jointly by the Disabled Persons Association Toamatoa which was facilitated by a team funded by AusAID, held at BTC boardroom in early May. The purpose of the workshop is to review progress in getting Persons With Disability (PWD) in Kiribati to be included in the work of the government and the Councils. The Kiribati Local Government Association has been recognized as the new member of the Potential Applicant Data On-Line Registration (PADOR). The Potential Applicant Data On-Line Registration (PADOR) is an on-line database in which organisations register themselves and update regularly their data. Mayor Romano Reo, Chairman of the KiLGA, attended the CLGF Biennial Meeting at Kampala, Uganda, from 15-16 May, where he was invited to make a presentation on how KiLGA has successfully completed a year of operation. 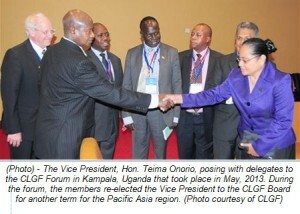 Mayor Reo attended the CLGF meeting as Chairman of KiLGA and Mayor of BTC, both being full members of the CLGF. TheChairman’s presentation explained the challenges and success of KiLGA since it was established in 2012 and was well received by the audience. During the meeting, the Chairman was able to meet with other delegates with whom he promoted KiLGA and set up partnerships that will benefit the Association. The BTC celebrated its 41st anniversary of establishment on Friday, with a full-day, eventful function held at 31st May at its compound in Betio. The celebrations commenced a day earlier on Thursday 30 May with a joint-church service for the Youth held at the Nimanraoi mwaneabaled by the Catholic Youth. It was well attended by all Youth groups in Betio. A sports competition on table tennis, volleyball and tug-of-war followed the service. The main events for the actual day of celebrations included tours to the BTC offices, parks and market. Later the staff of the Council performed a garlanding dance to honour the guests, followed by feasting and speeches. The guest of honour was the Minister for Communication, Transport and Tourism Development, Hon. Taberanang Timeon and his wife.